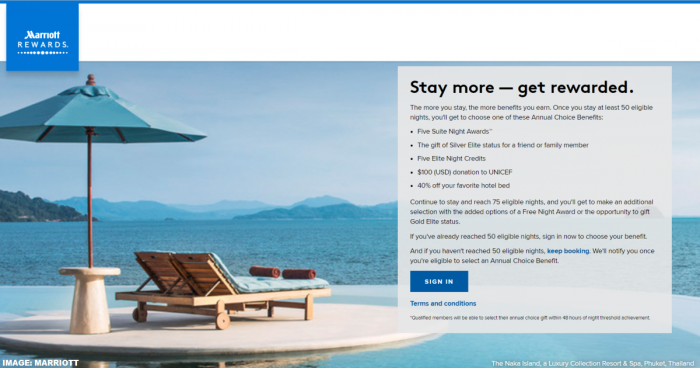 Marriott Rewards & SPG Choice Benefit that went dark unexpected in early January is now back online and members have extended deadline until February 7, 2019 to make their choice. Starwood Preferred Guest (SPG) launched Choice Benefit first for those staying 50 nights and later introduced second gift at 75 nights. Marriott Rewards incorporated this into the combined program last year. Marriott Rewards & SPG have launched 7-Day up to 25% off Flash Sale for stays at participating hotels in Japan, Korea & Guam. The sale is valid for stays through April 30, 2019 and must be booked by January 20. Marriott Rewards has launched new dining promotion for Westin, Marriott Sukhumvit and Marriott Queens Park hotels in Bangkok through February 10, 2019. Members can earn triple points for their F&B expenses at select venues (30 points per USD charged) in addition to the 10%, 15% or 20% discount that depends of elite status that you may have. There is no need to be staying at a hotel to take advantage of this offer. Starwood Preferred Guest (SPG) launched Choice Benefit-award first to those that reached 50 nights and later introduced second option at 75 nights. Members could choose from variety of gifts from Suite Night Awards (SNA) to free night certificates. Marriott Rewards introduced this to the combined program this year and changed the gift options that members could choose when reaching 50 and 75 nights (read more here). Members originally had until January 14 to make their selections or Marriott would choose the SNAs by default. Marriott Rewards & SPG launched their first combined MegaBonus on September 26 that is valid for stays through January 31, 2019. The registration for this offer, however, closes on January 7. Marriott Rewards members can earn 2,000 bonus points for stays of two nights or longer and an additional bonus of 1,000 bonus points per brand starting from the second. Marriott Rewards introduced this to the combined program this year and changed the gift options that members could choose when reaching 50 and 75 nights (read more here). Members have until January 14 to make their selections or Marriott will choose the SNAs by default. This week the Fabulous Fridays deals with hotels that go above and beyond what is required by the brand when it comes to the elite treatment. Fried of mine was staying at the Four Points hotel in Bangkok just before the New Years and I was glad to learn that they had brought back the elite benefits that were removed few years back. Marriott made an announcement back in late November that Starwood database had been accessed without an authorization by a third party since 2014 and possibly half a billion guest were records stolen. Now, Marriott has provided an update about this incident. As we thought to be the case at the time, there aren’t half a billion guests involved (impossible) but rather guests records, and some may also be duplicates. The number of stolen passport numbers is five million. Marriott Worldwide has been granted the trademark for the Bonvoy figurative logo below that I assume that we should soon start seeing instead of Marriott Rewards/SPG/Ritz-Carlton Rewards. Marriott briefly had their production web page door left open with the Bonvoy name featured and they had applied for the regular trademark earlier for this name. Starwood Preferred Guest (SPG) launched Choice benefit awards years ago to get members to stay minimum of 50 nights yearly and subsequently introduced second award for those staying 75 nights. The award selection has changed number of times. 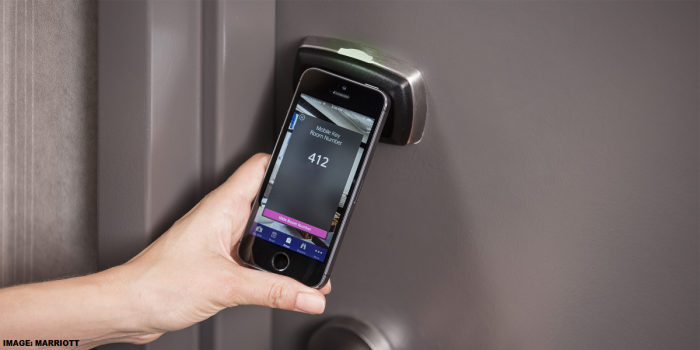 Marriott Rewards implemented this program to their members this year. They are not, however, emailing members about their eligibility (at least not promptly) when reaching the required 50 or 75 nights. Reader Question: SPG Legacy Loyalty Qualification Criteria Not Honored By Marriott If Accounts Merged? A LoyaltyLobby reader sent us an email about yet another maddening situation with Marriott Rewards & SPG. 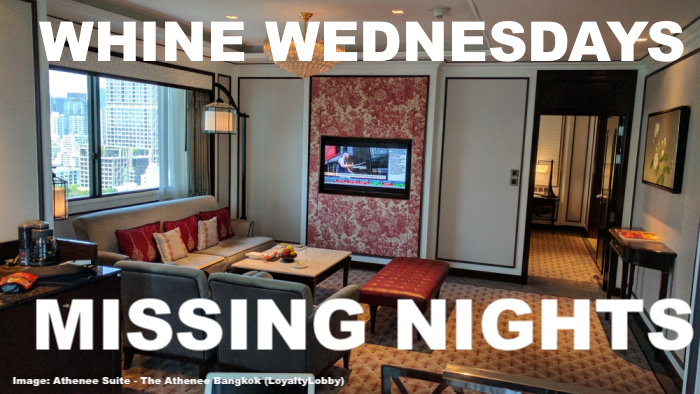 Our weekly Whine Wednesday series is about a stay credit from The Athenee Luxury Collection Hotel in Bangkok where I stayed for four nights last week and which transitioned to Marriott’s MARSHA system during my second night there. MARSHA stands for Marriott Automated Reservation System for Hotel Accommodations (reservation system) and slowly all new hotels that were former SPG brands now roll over to the new platform as well. Marriott Rewards & Starwood Preferred Guest (SPG) started their very painful IT and program merger on August 18, 2018, although both (and Ritz-Carlton Rewards) got to keep their names for now (Bonvoy is coming soon – read more here). SPG accounts were moved to the Marriott Rewards platform and the Starwood reservation system has been slowly phased out this past autumn and legacy Starwood brands and their reservations moved and converted to Marsha (Marriott’s reservations system).